Manchester United youngster Marcus Rashford has revealed that Cristiano Ronaldo is his source of inspiration as he looks to become a better footballer. The England international has already made a positive mark during his two-and-a-half seasons with the United first-team but he has yet to establish himself as a regular from the starting lineup. 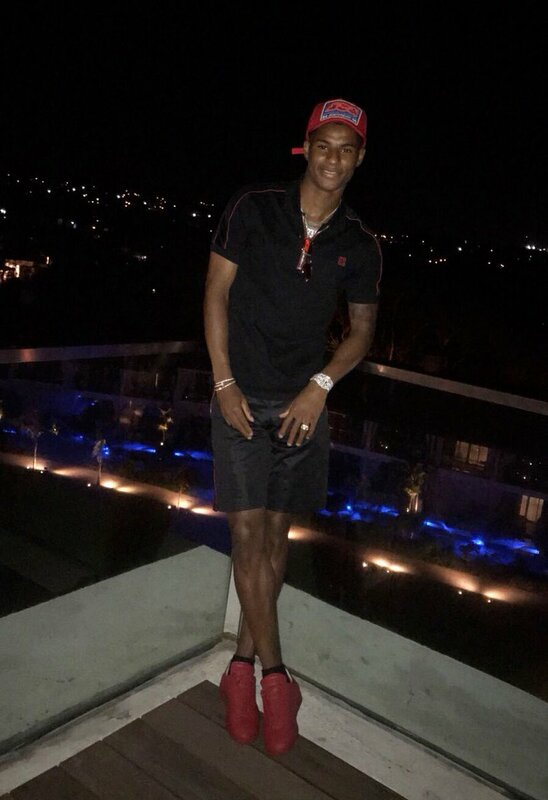 Rashford is presently with the Three Lions at the summer World Cup in Russia and reports suggest that he could get the nod ahead of Raheem Sterling for one of the wider roles. Sterling was hugely disappointing during the 2-1 win over Tunisia in the opening game and Rashford has seemingly been tipped to take up his position with a better scoring record with the Three Lions. Meanwhile, there could also be another change at the heart of the midfield with Dele Alli struggling with a groin problem. The Spurs man is unlikely to be risked against minnows Panama and there are suggestions Ruben Loftus-Cheek could get the nod for the central midfield role. England picked up a last-gasp 2-1 victory over Tunisia in their opening World Cup game and Southgate will be hoping for a better result against Panama, who succumbed to a 3-0 defeat to Belgium on their World Cup debut. Harry Kane should once again be the focus after his match-winning brace versus Tunisia.